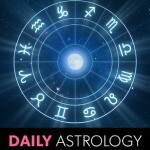 The Moon occult Uranus bolsters confidence by renewing your sense of purpose. There’s nothing like a cause to reignite your passion! A no-win situation actually holds the key to your success. Gaining much needed experience will be ample reward for your trouble. Running into an old friend proves to be much more than a quick chat. You’ve been longing to spend time with someone who truly gets you. Now that a matter has been successfully put to rest, you’re free to act decisively. You can’t make a fresh start without taking care of old business first. You need to do what should have been done in the first place. You’ll feel a lot better. A change in the roster forces you to work with someone you don’t respect. Make the best of it. You may learn to appreciate qualities you overlooked before. You’ve no choice but to accept the olive branch even if it looks like you’re being handed the short end of the stick. It’s still a step in the right direction. News of a friend’s plight tugs at your sympathies but helping this person out could reopen a can of worms. Let sleeping Phylum Annelida lie. The Moon/Mars trine rekindles that inner spark. Instead of feeling dull and droopy you’ll soon be bright and zippy! You finally get your moment in the sun so enjoy it. And don’t worry about resting on your laurels. There are more laurels to collect in the future. The grass may be greener on the other side of the fence, but you happen to like your home turf. Tell anxious types you won’t be pulling stakes after all. Finances will work themselves out eventually – maybe even as early as next month. Meanwhile do what you can to stay in the game.